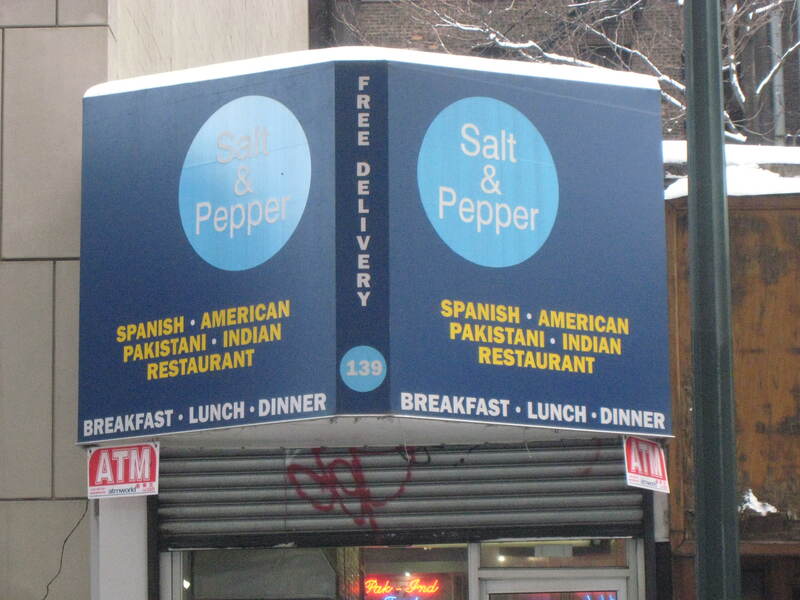 If all else fails, there is salt and pepper. Why does Spanish get top billing? They should at least consider listing their eating options alphabetically to prevent any type of conspiracy thinking or to further fuel border conflicts whether in North America or South East Asia. Have a great weekend. Adventures in Chow City returns on Tuesday. You know if the neighboring dining establishments wanted to be devious, a quick call to INS would most probably reduce the competition ! But then again, would’nt that be true of most every restauarant in the City ? Can one enjoy global politics and NYC cuisine at the same time ?? ?